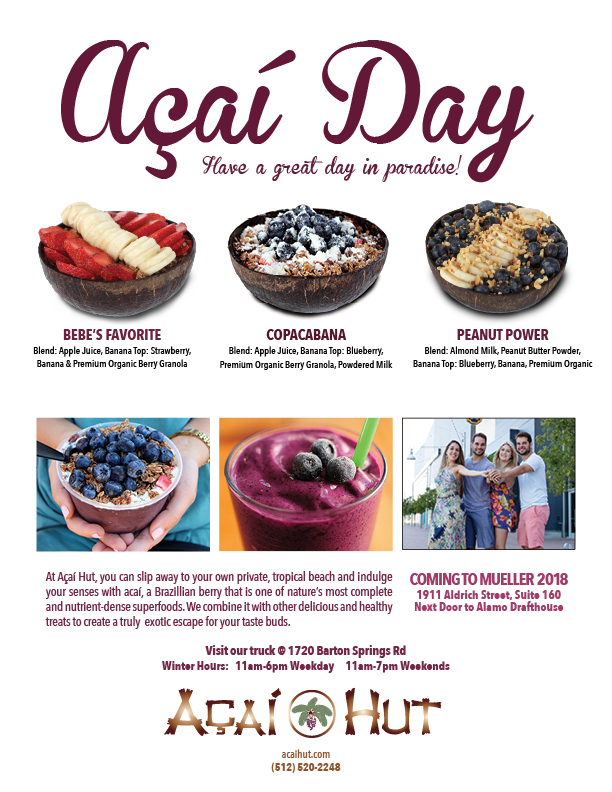 As the demand for delicious but heathy offerings continues to grow in Austin, the Mueller district will soon be adding Acai Hut to the ever-growing neighborhood. The Brazilian family owned venture, which currently operates a trailer at The Picnic food park on Barton Springs Rd., will open its first brick and mortar in Mueller later this year. 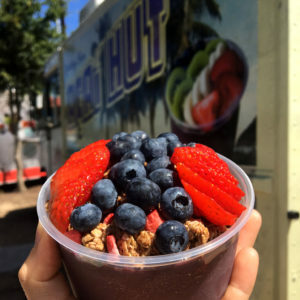 The restaurant serves delicious, healthy and authentic acai bowls with the acai hand-crafted specifically for Acai Hut from Brazil. Regarded as a superfood, acai is building a large following in the United States for its refreshing taste as well as its many health benefits. Owner Rodrigo Cid, a native of Brazil, owns the store with his wife and sister. The current menu starts with a base of acai and guarana (a naturally caffeinated Brazilian plant) and can be made light (topped with fruit and granola), “powerful” (blended with protein powder and avocado), or indulgent (topped with Nutella-yum). 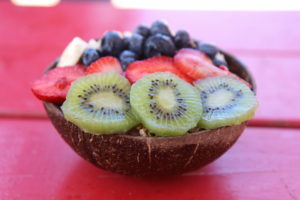 Cid says the Mueller restaurant will have new bowls, smoothies and other offerings beyond the popular Barton Springs location.